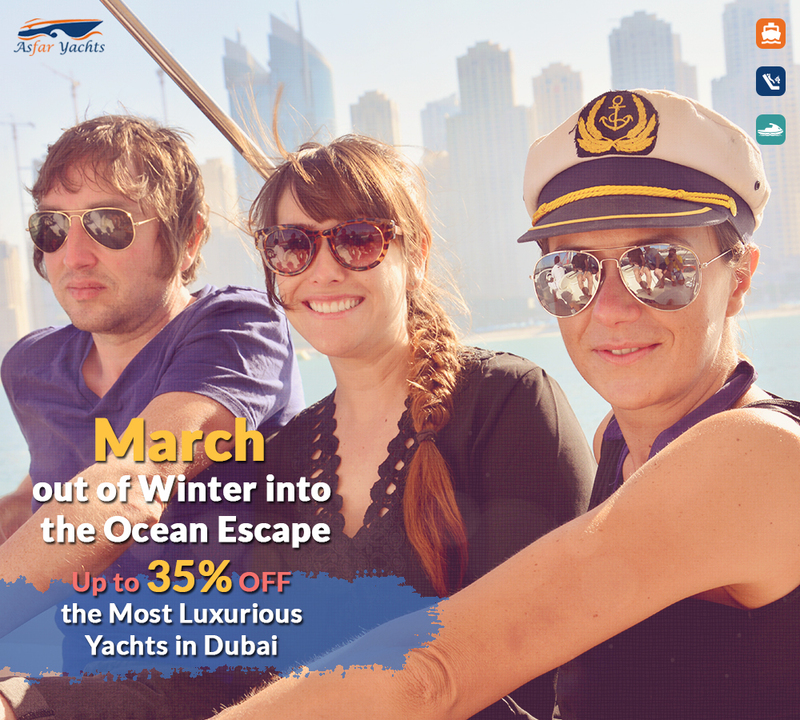 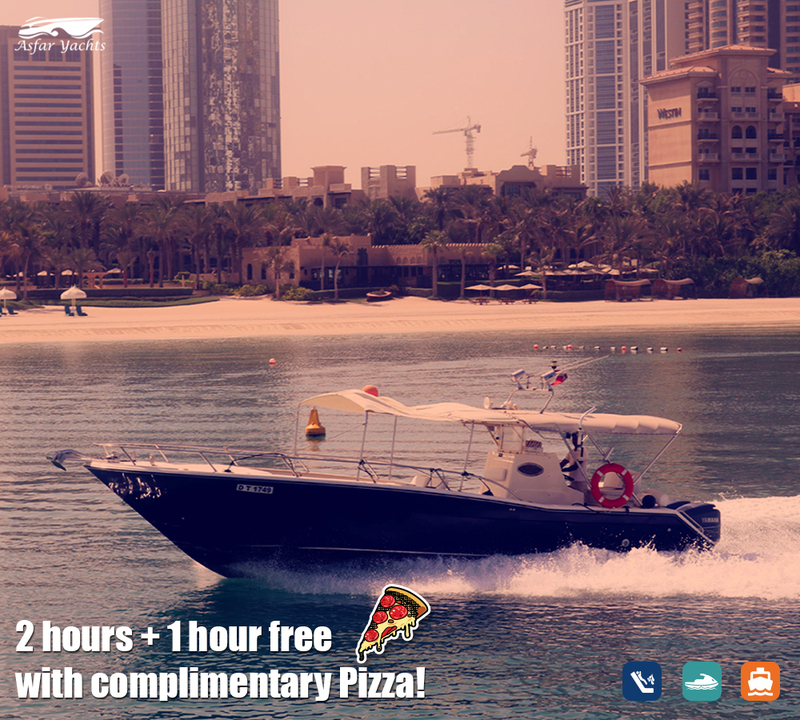 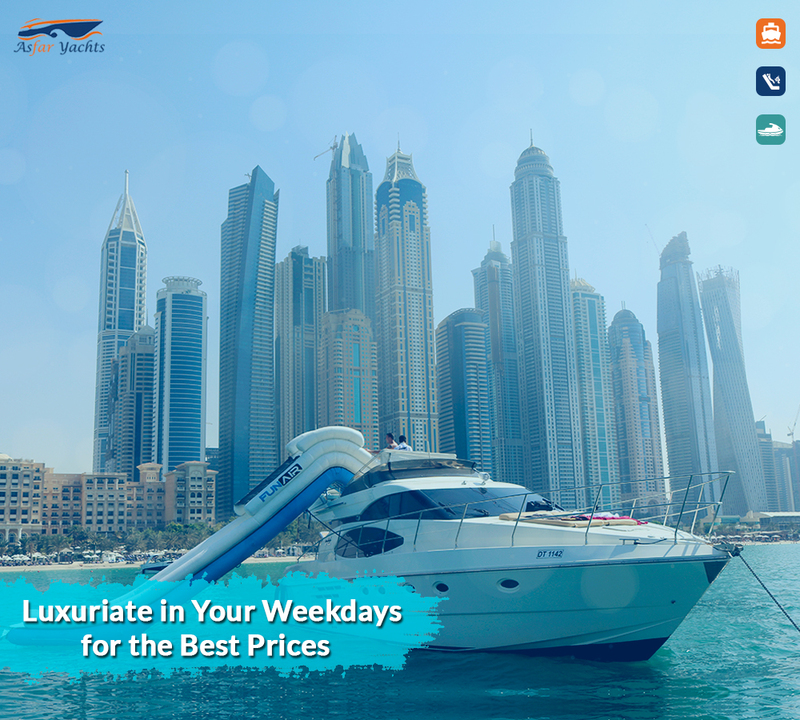 Fuel your soul and pamper your senses by indulging yourself in an opulent yacht gliding through the waves. 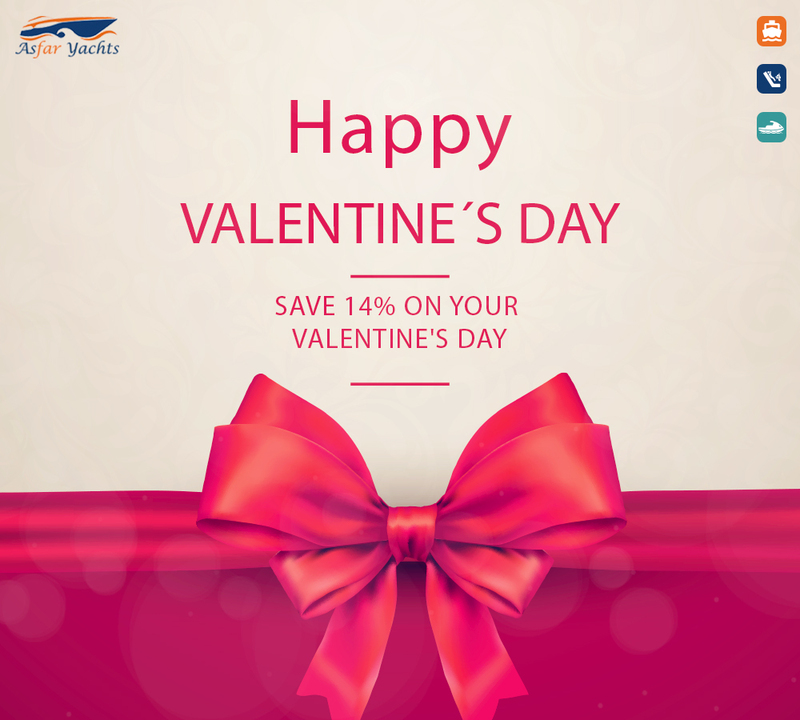 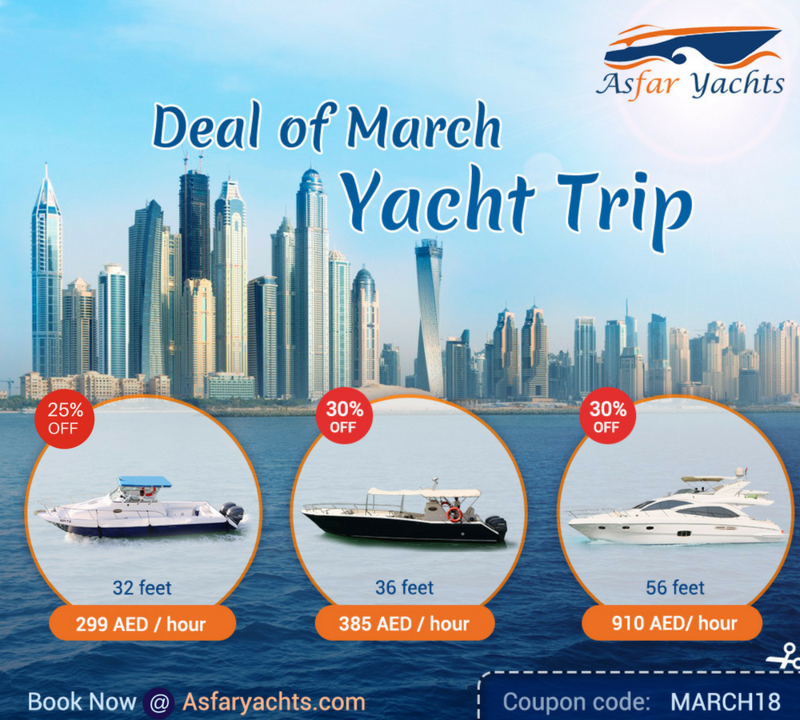 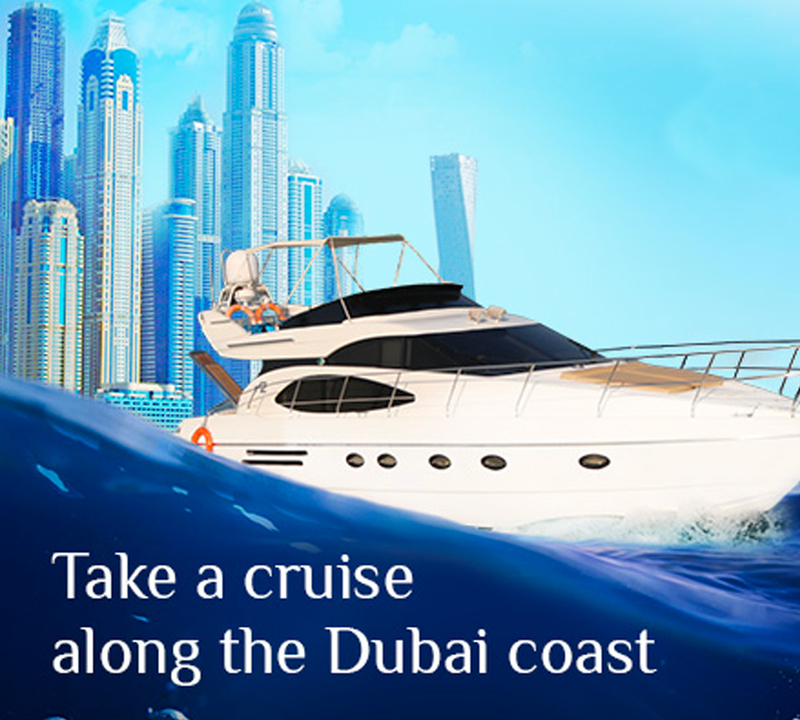 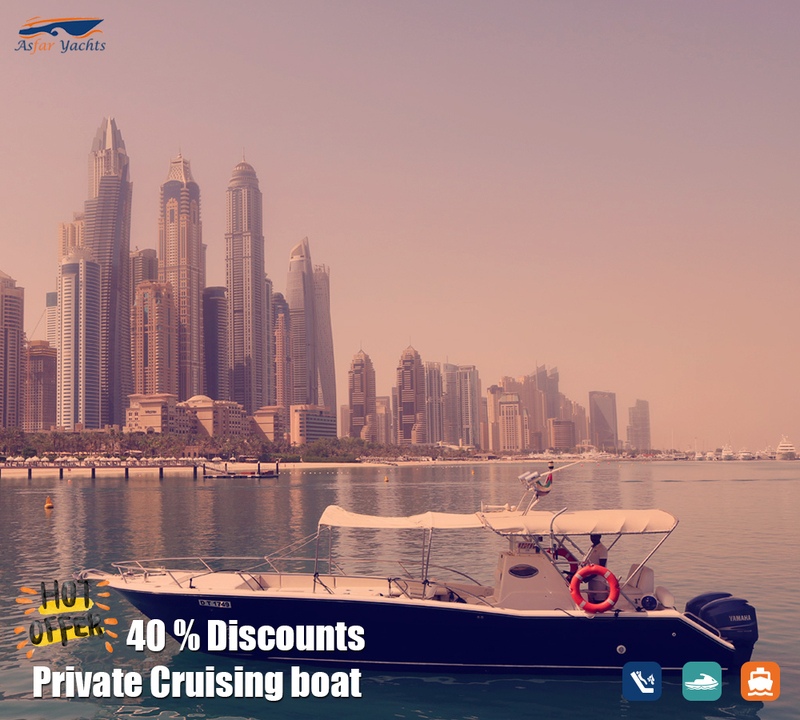 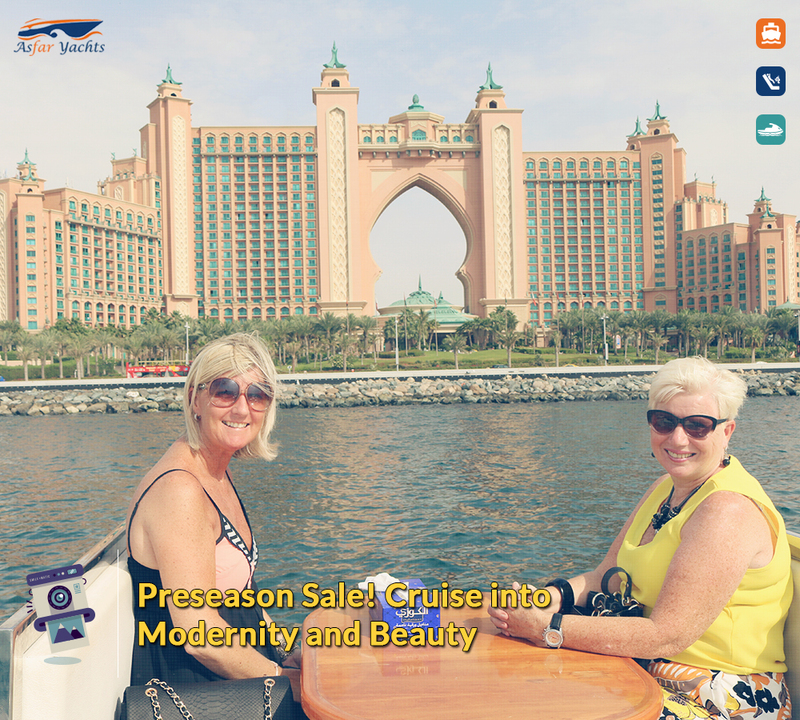 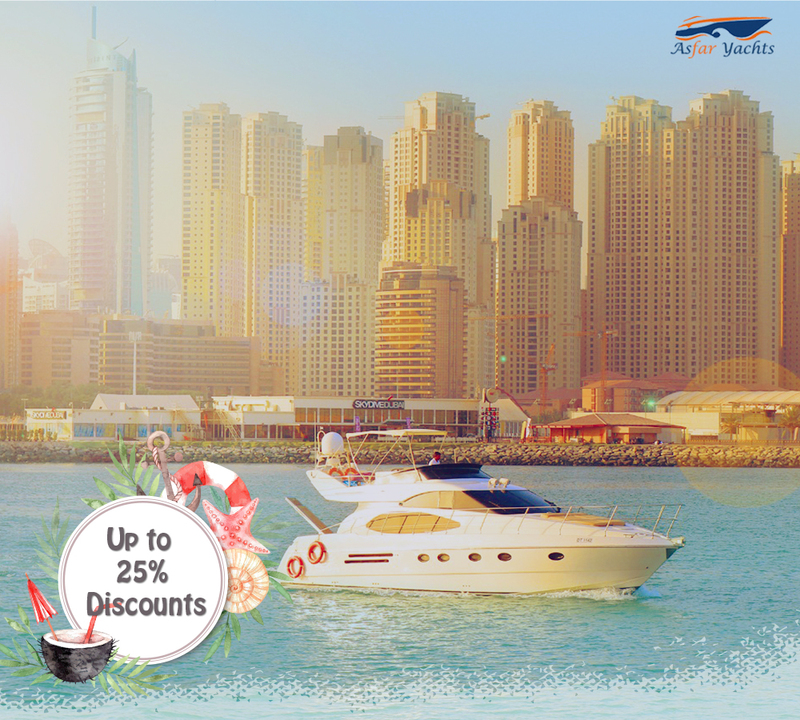 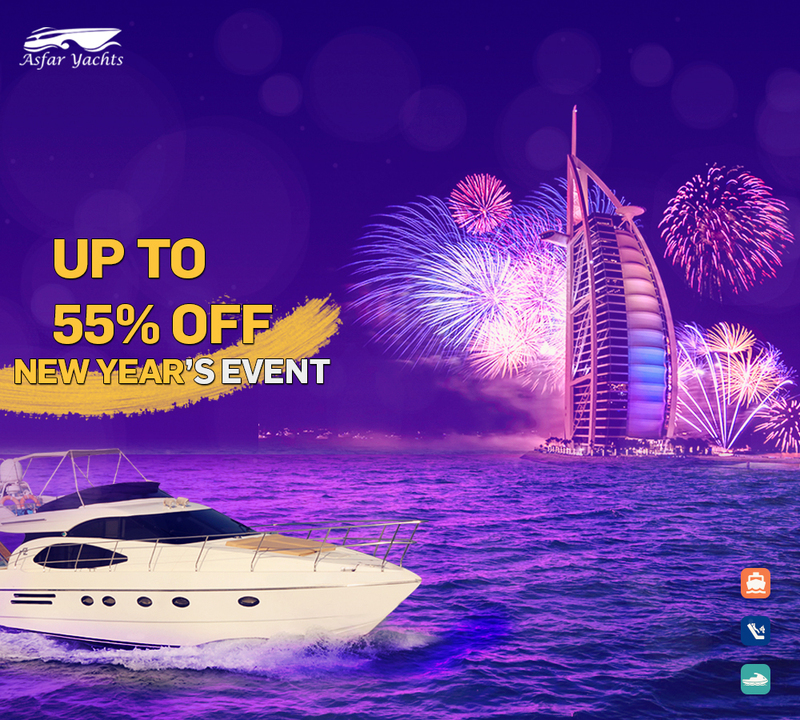 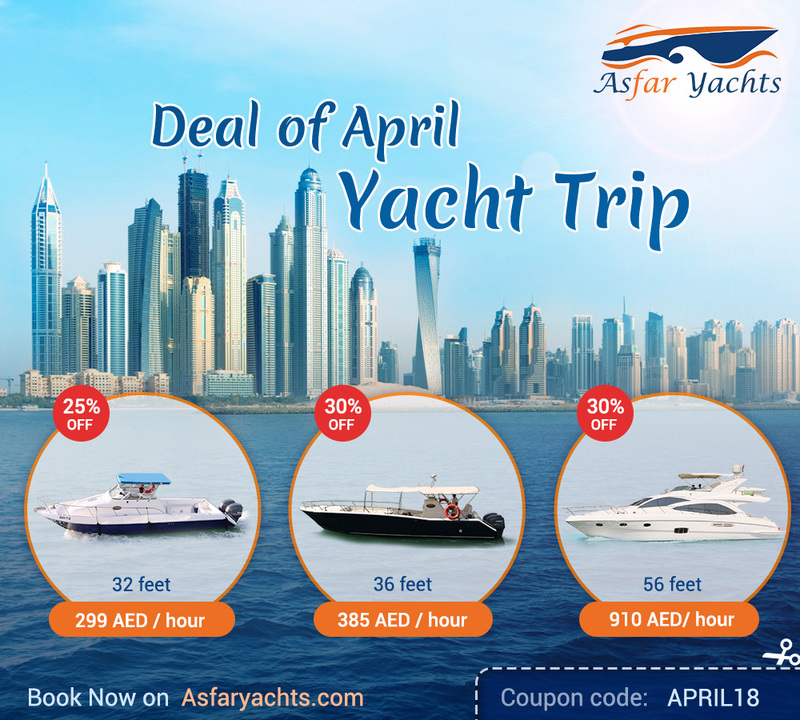 It is your opportunity to tailor your venue and get your friends together in a distinctive cruise in the most luxury place in the world, Dubai. 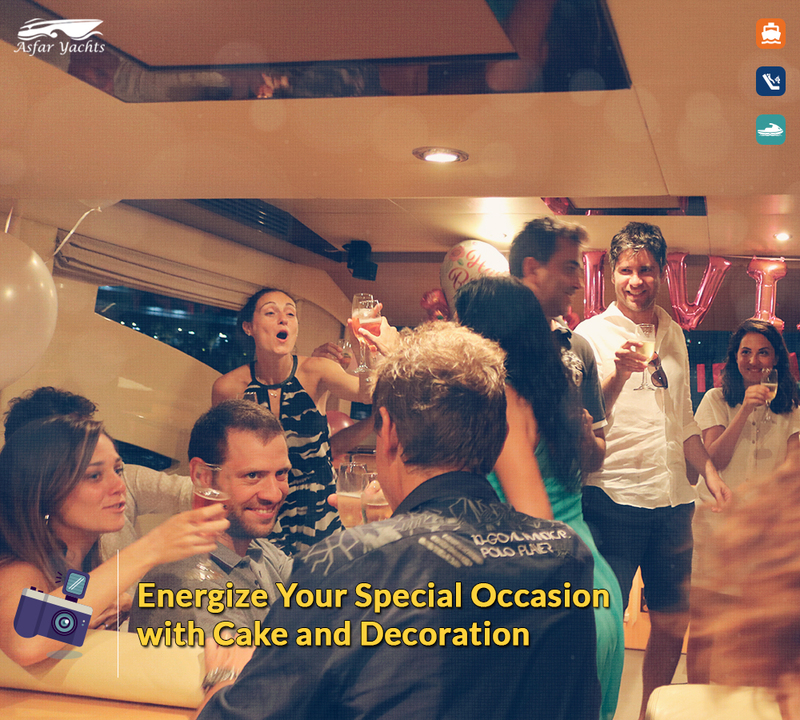 Nothing can inflame the gathering more than an informal meal that gets your memories flow while chatting with your family members or friends. 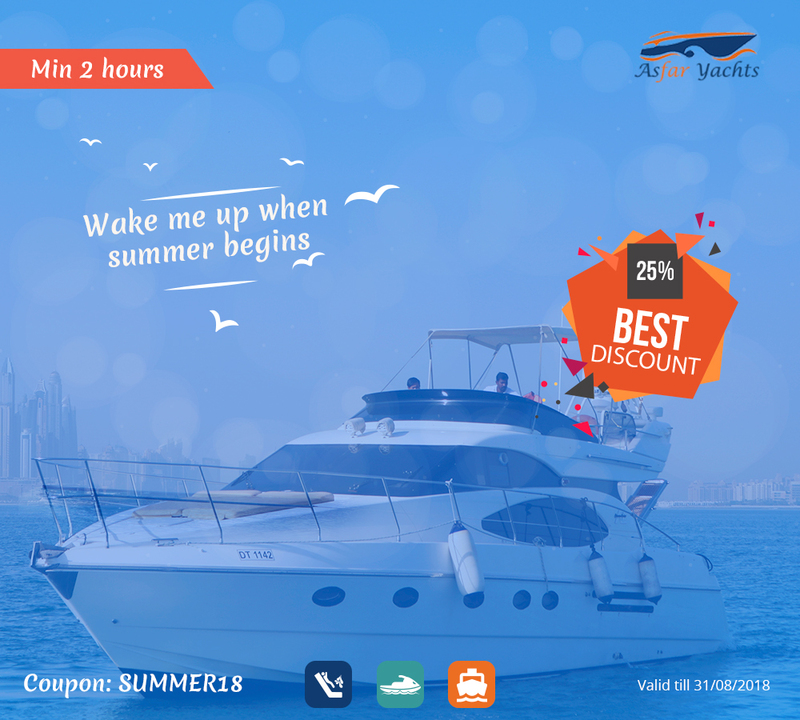 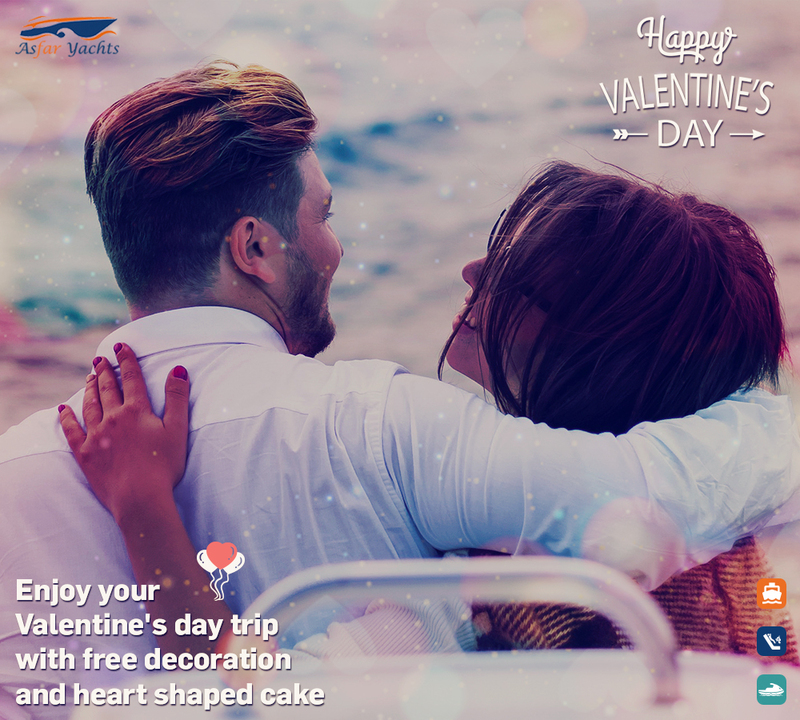 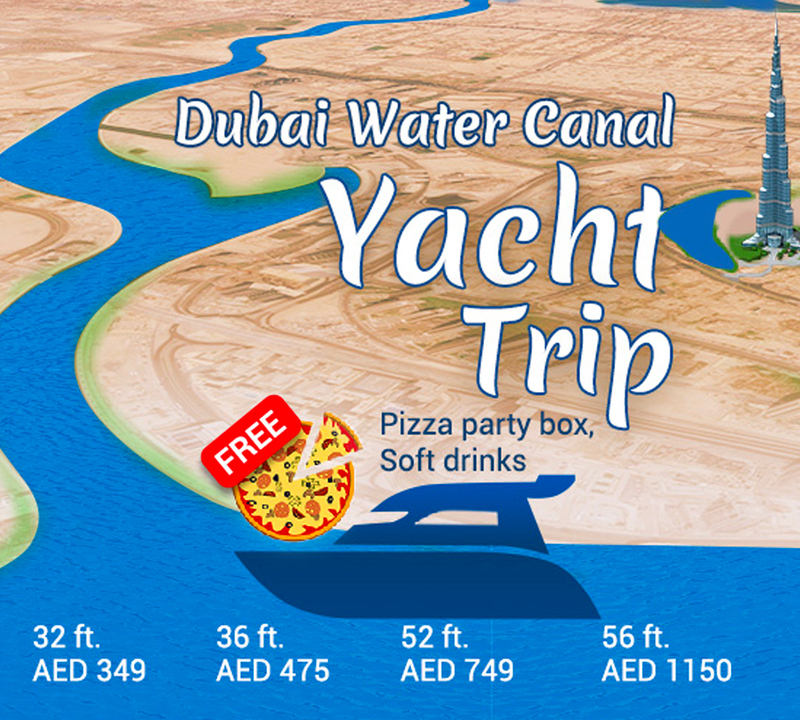 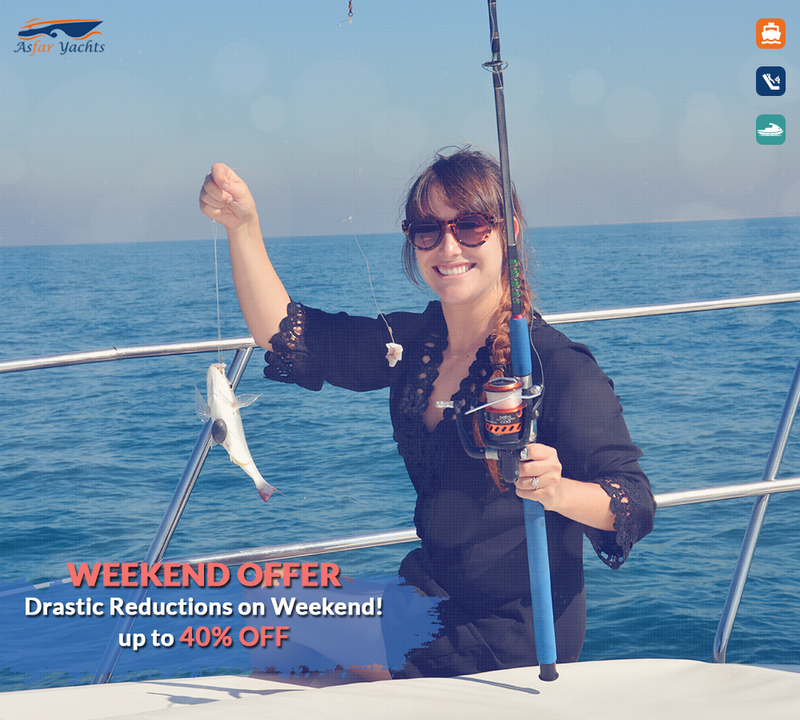 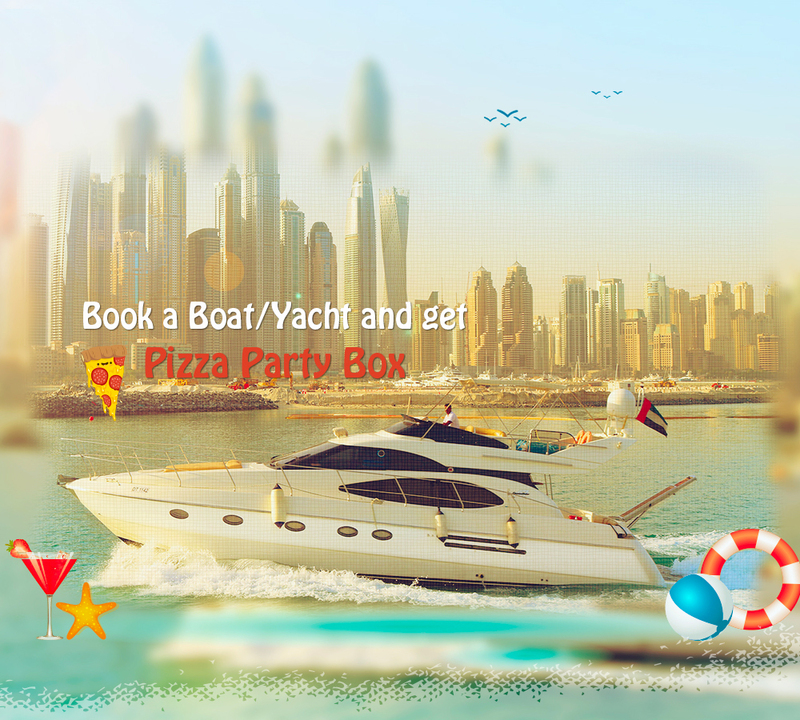 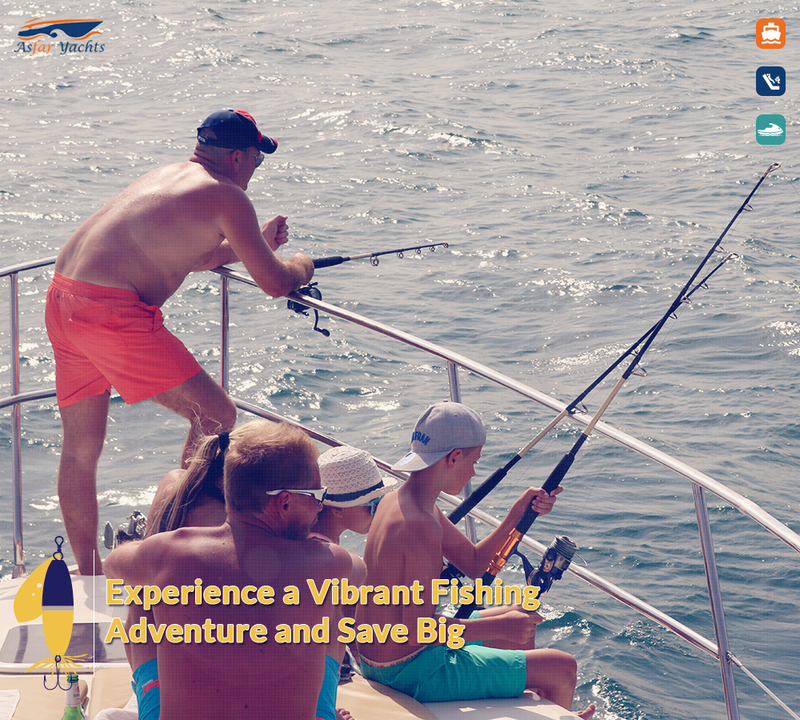 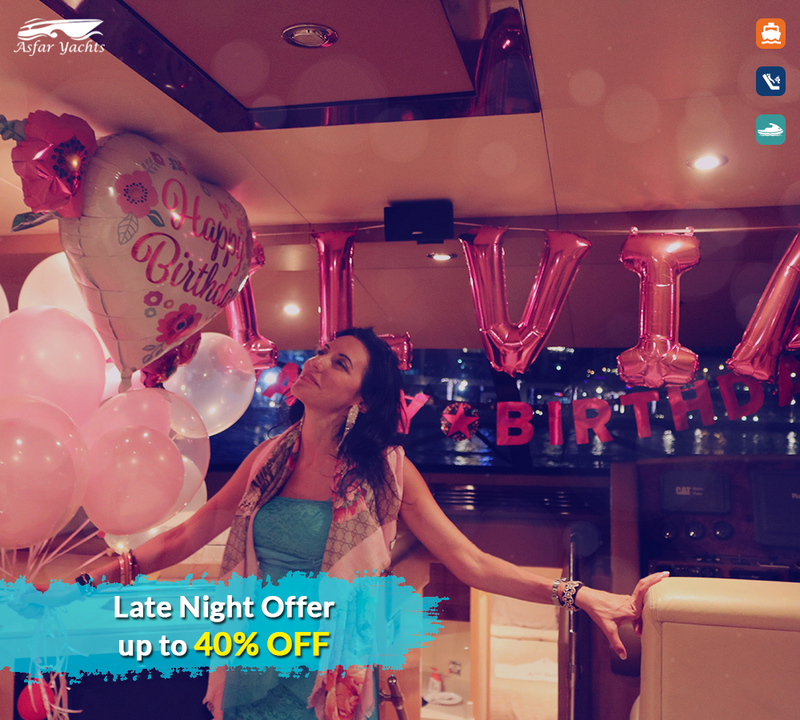 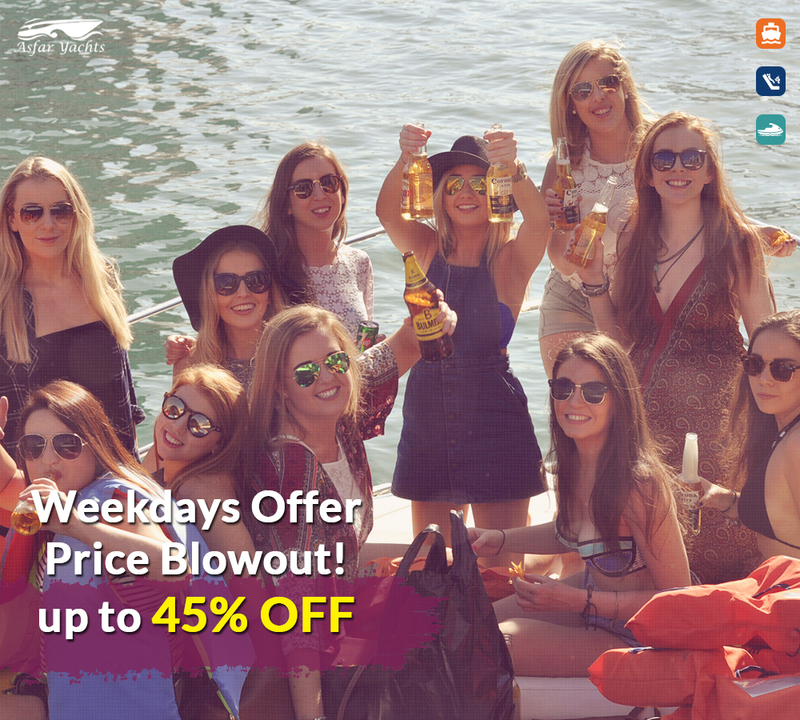 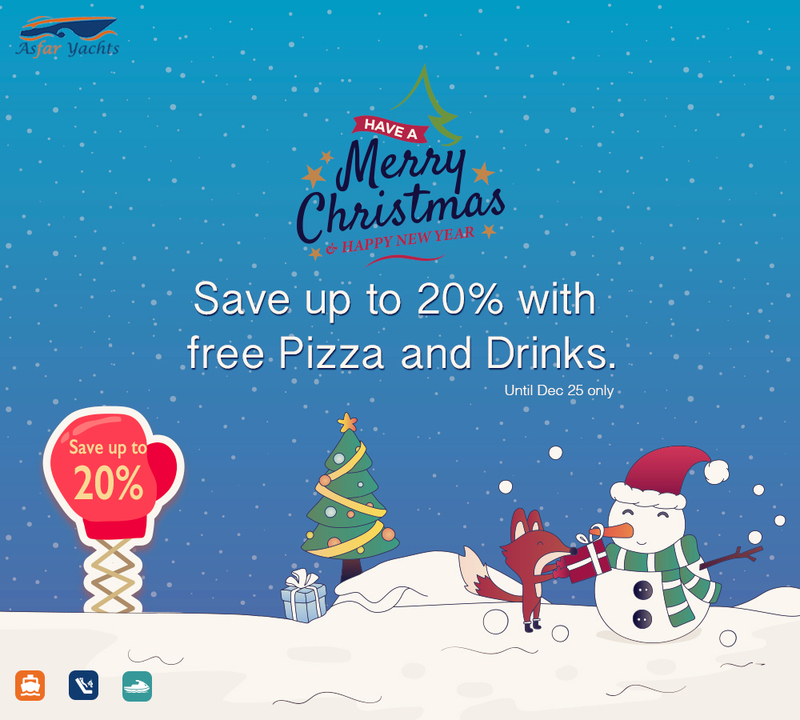 Now book a two-hour cruise and get an extra hour in addition to free pizza hut to gear up for a one-of-its-kind boat trip surrounded by a mélange of nature and exotic landmarks. 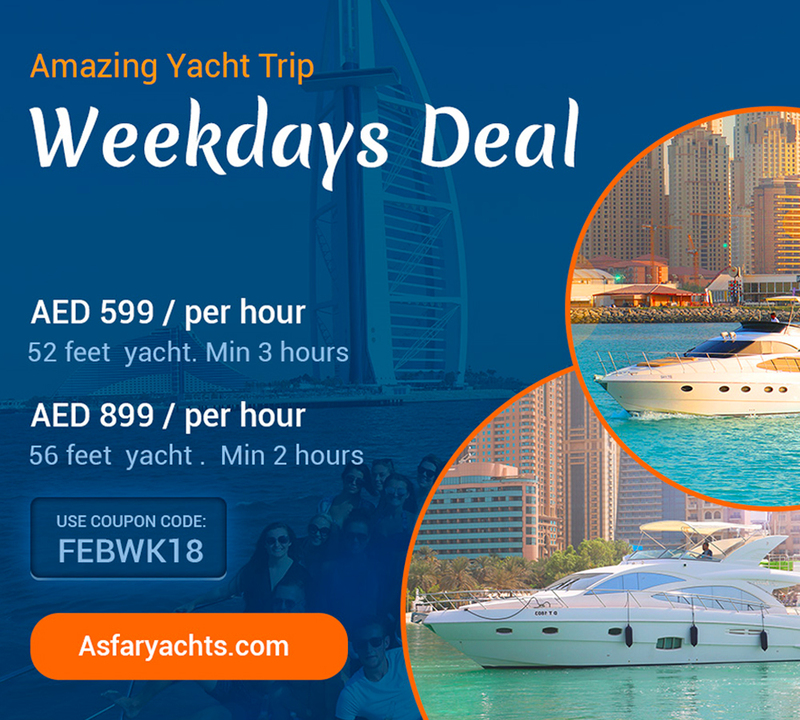 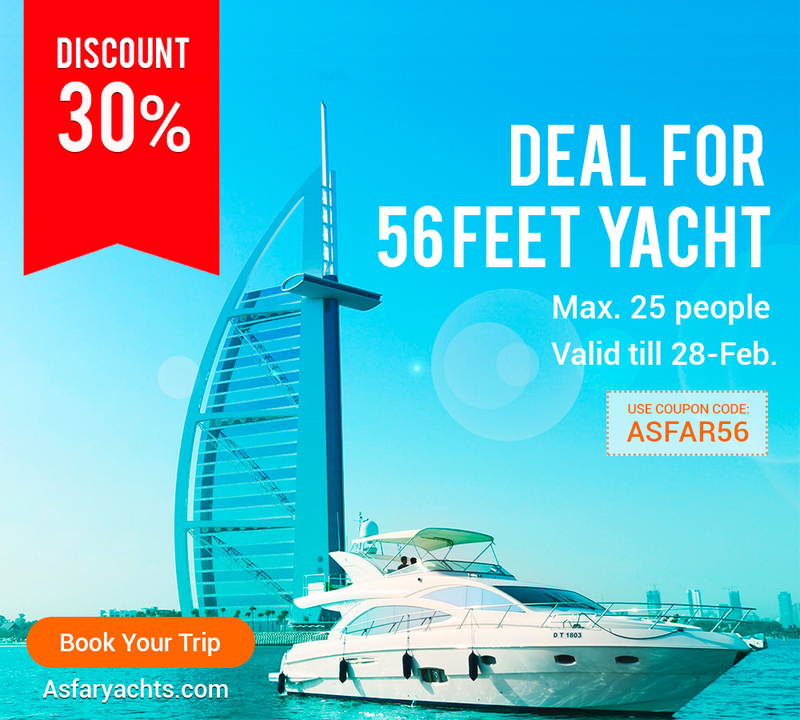 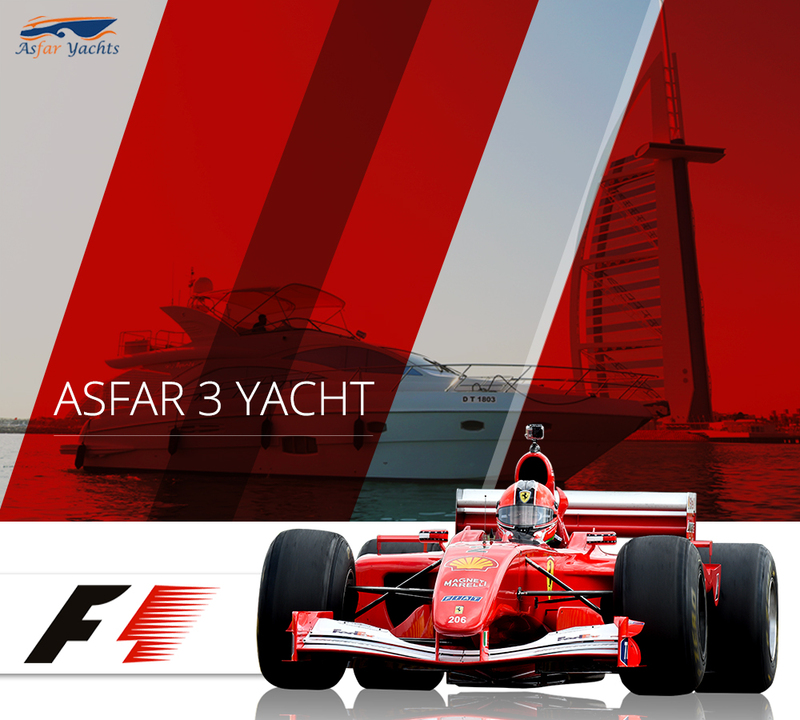 Notice: The offer applies only to Asfar Two 36ft which accommodates up to 12 individuals and is supplied with swimming equipment, soft drinks and refreshments, and water and ice.